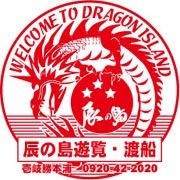 Iki from Hakata Port for 1 hour by Kyushu Yusen jet foil and 2 hours by ferry. 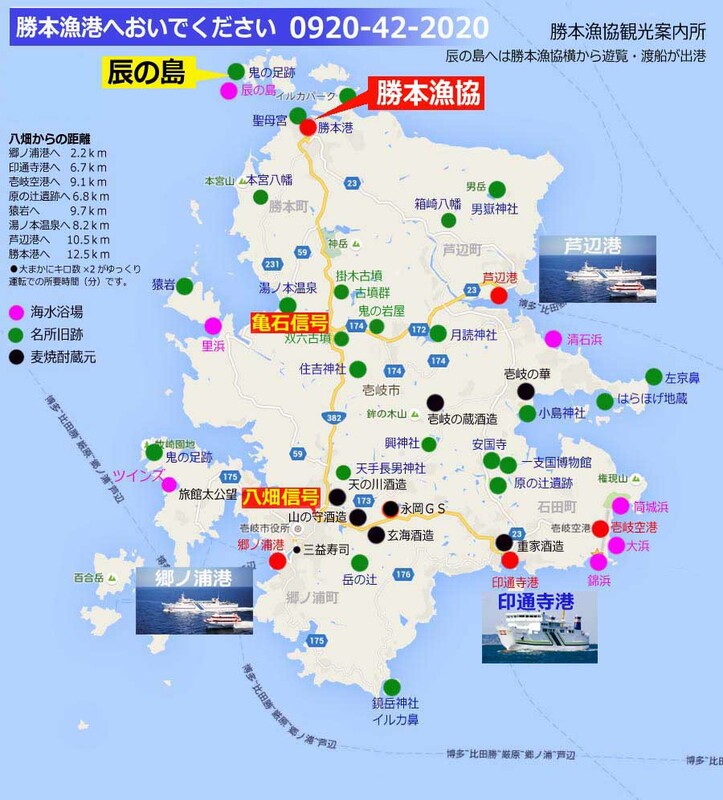 You will arrive in Iki in one and a half hours from the east Karatsu port. 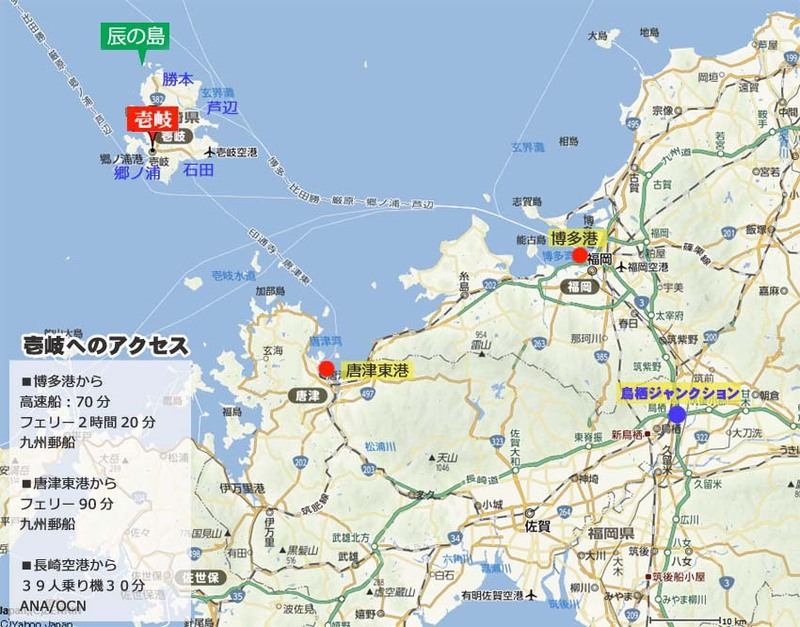 About 15 km from Gonoura Port, About 19 km from Indoji Port, and about 8 km from Shobe Port to Katsumoto. 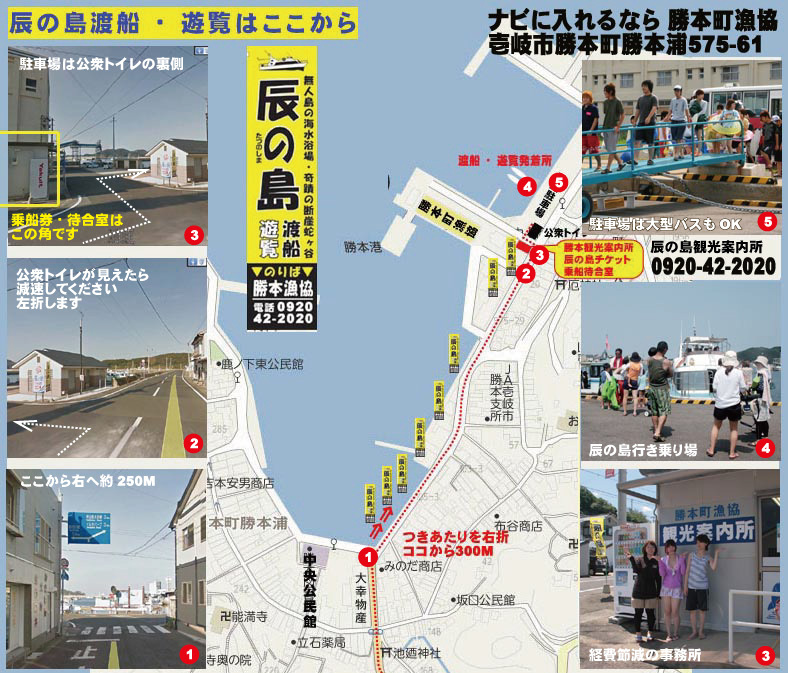 You can not walk from each port to Katsumoto, so please rent a car or take a taxi. It is inconvenient because the number of flights is quite small. 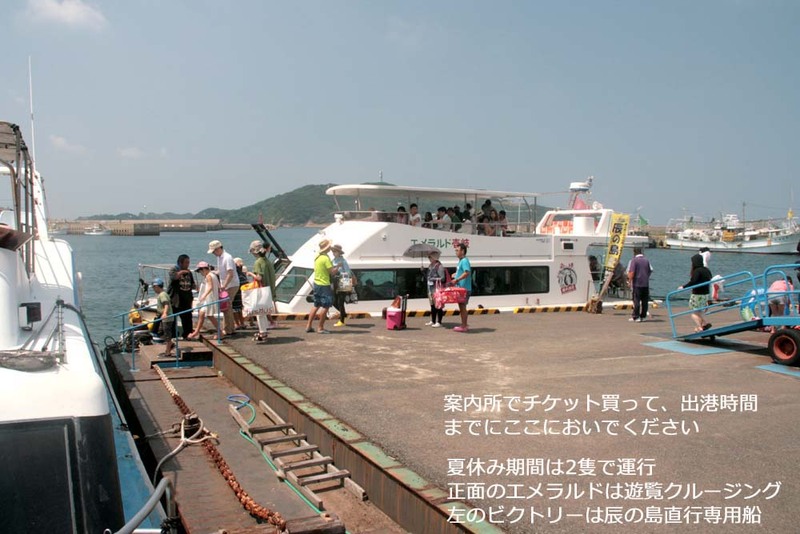 The boat on the island of Tonoshima arrives and departs from the Katsumoto Fishery Cooperative. When you arrive at Katsumoto Port, turn right and head for Dolphin Park. A yellow flag stands on the guardrail. Go straight about 300M while looking at the port on the left. Please wait at the waiting time until the departure time when you get a boarding ticket. We will let you know on board when it is time. and drinks and breaks are on the right.